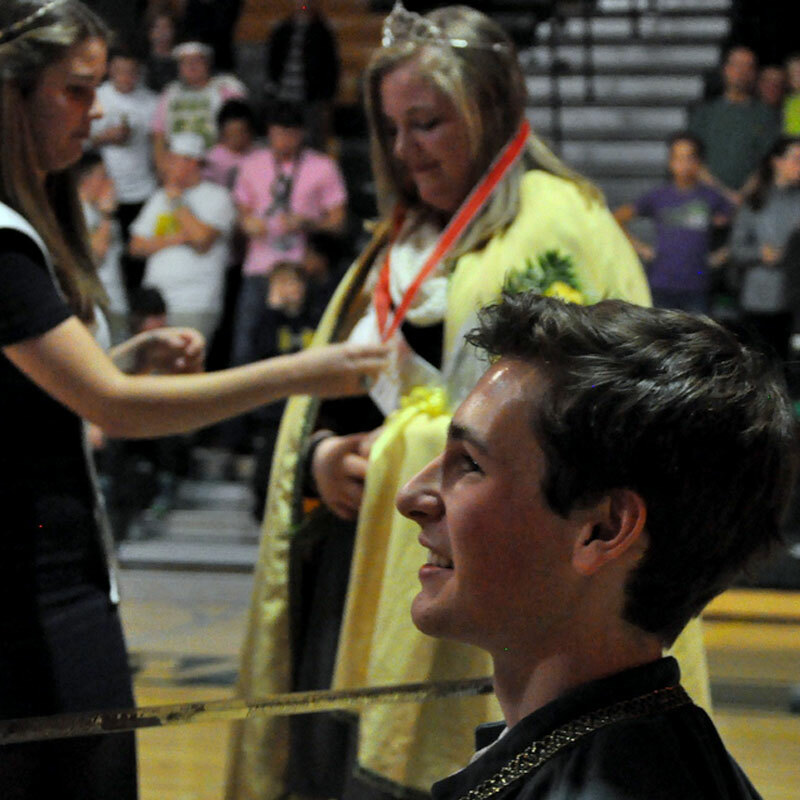 An annual tradition, watch the new Prince Frey and Princess Freya crowned, occurring between the girls and boys varsity games. Come cheer on the Bulldogs! Ski Joring is a sport that combines an interesting mix of two of Montana’s favorites: horses and skiing. The public is invited to check out the continued revival of ski joring at the Whitefish Winter Carnival. For over 13 years, the weekend in January features exciting combination of horses, riders, and skiers mixed with speed, jumps, and of course, snow! 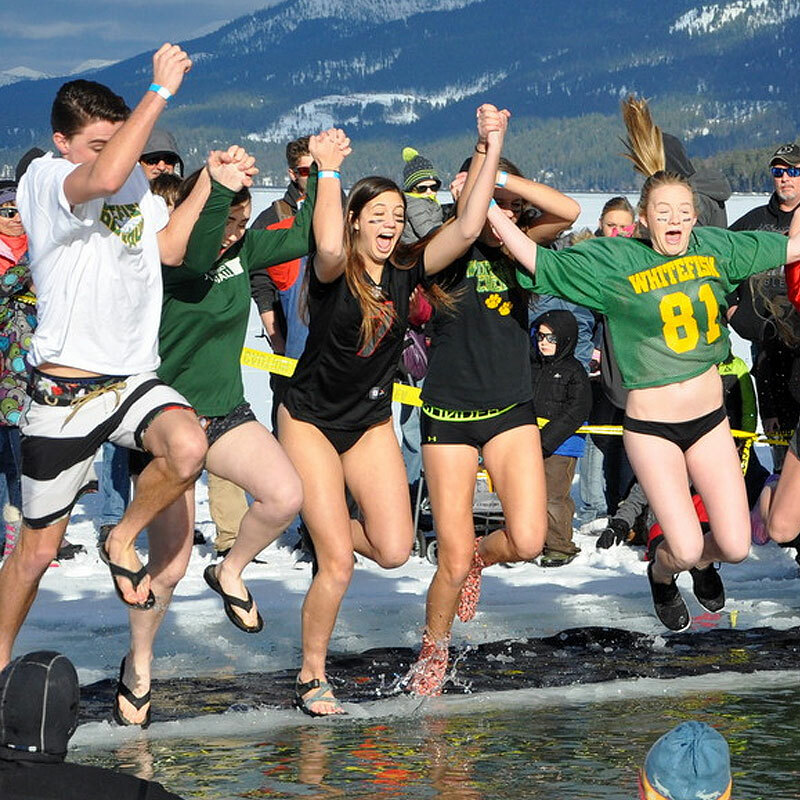 Take a dip in Whitefish Lake’s icy waters for a good cause! 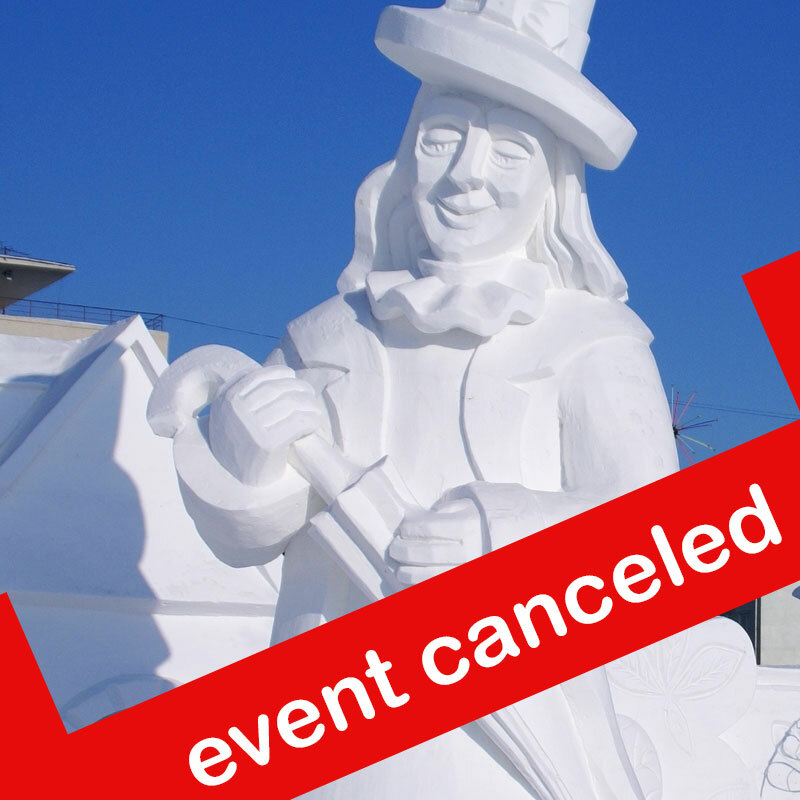 In the spirit of mutual support and cooperation, artists will come together to create a snow sculpture garden at the 2nd Annual Snow Sculpture Showcase in Depot Park, Whitefish, Montana. Games and prizes for all ages! Pie and coffee for sale. Just TRY to eat only one piece! The Carnival Weekend reaches its peak with the Grand Parade, featuring entries of all shapes and sizes. A fun, family event, come join in the merriment! Join us at the Performing Arts Center, right after the Grand Parade at the Winter Carnival Art Expo! 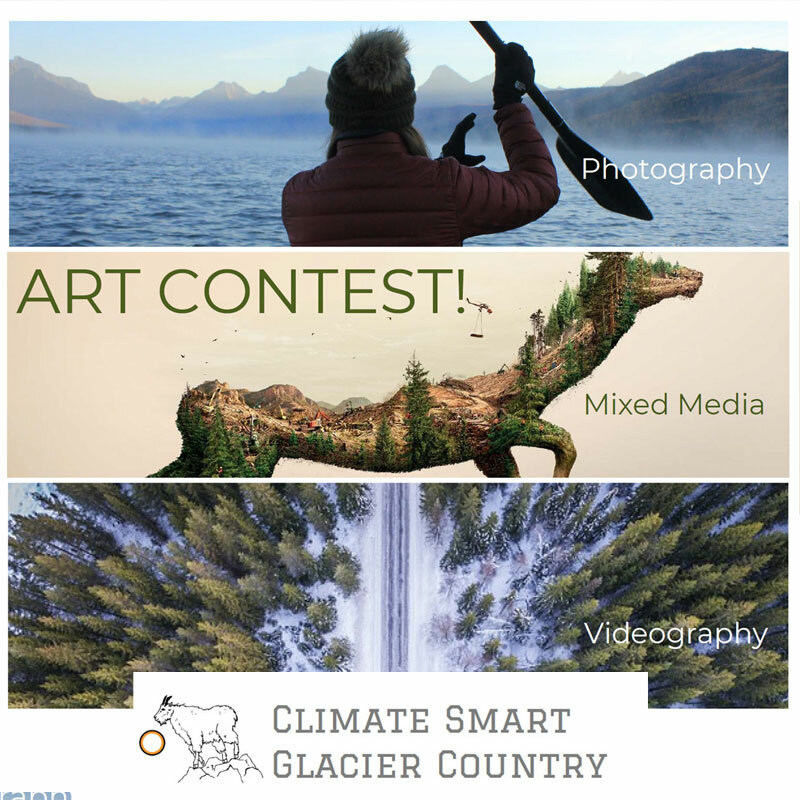 This year’s theme is Climate Smart Art. WHAT WOULD YOU DO OR TRADE FOR A YEARS SUPPLY OF BEER?! Great Northern Brewing Company will be hosting the Beer Barter once again! Held on Central Ave. in Downtown Whitefish immediately following the Winter Carnival Grand Parade. Folks will bring something to barter, which can be a physical item, a talent or skill, a funny limerick, or whatever is worthy enough to win beer for a year, or 52 cases! The sky is the limit so sign up now and let us know what you’ll bring to the 2019 Beer Barter. 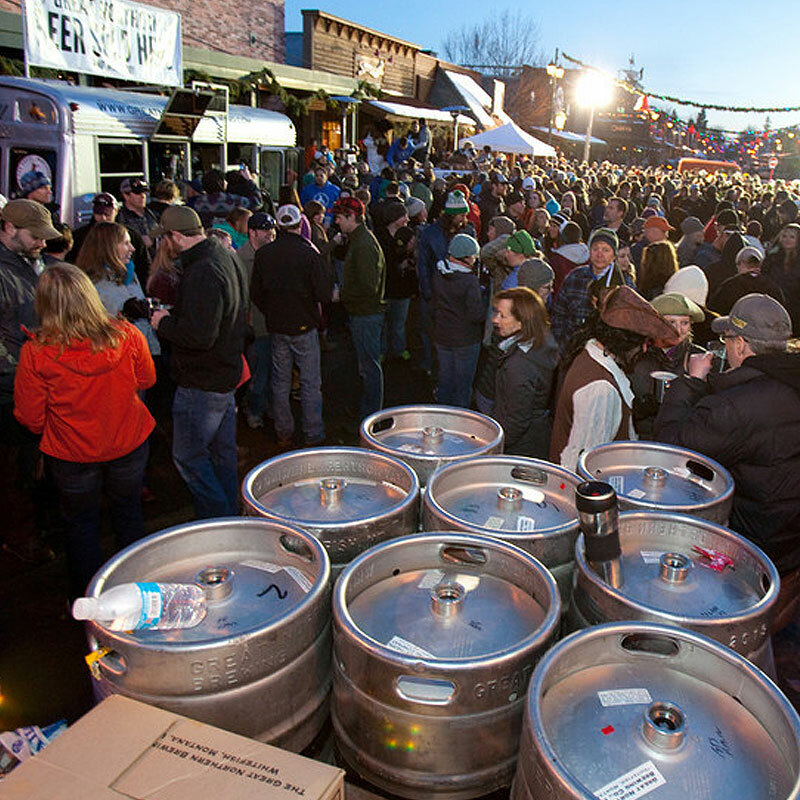 Registration is now open at www.greatnorthernbrewing.com or call the Brewery at 406.863-1000 for more details. 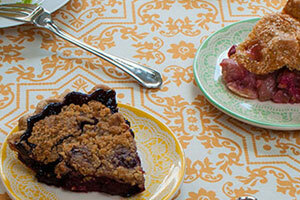 A fun and delicious morning to close a weekend of revelry. 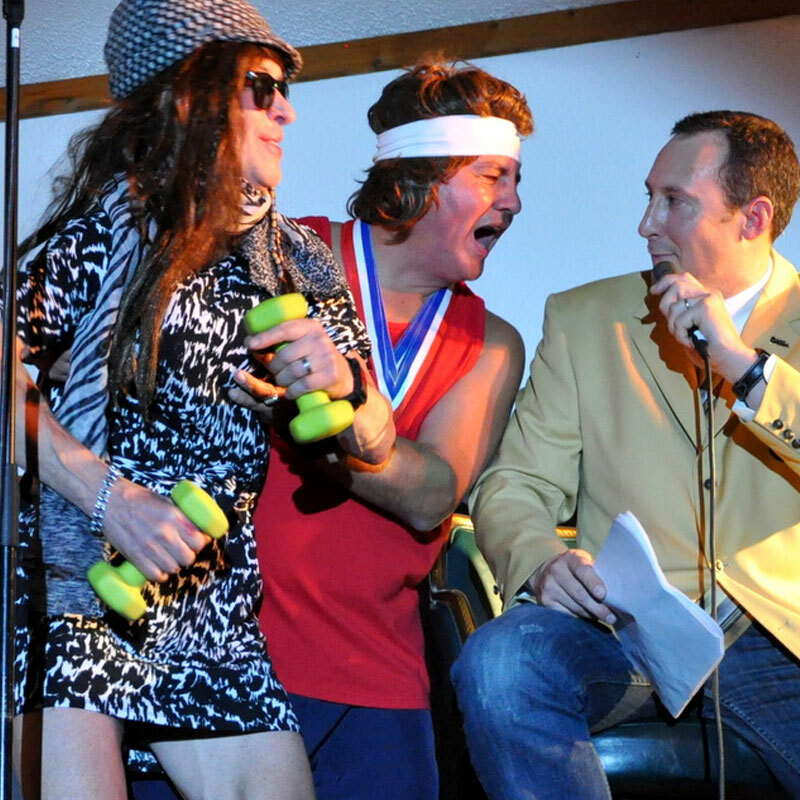 A bawdy adults-only good time, enjoy a hearty roast of Whitefish and current events. A fun, family event! Come in out of the cold and be a part of history with the unveiling of King Ullr LX and his Queen of the Snows! 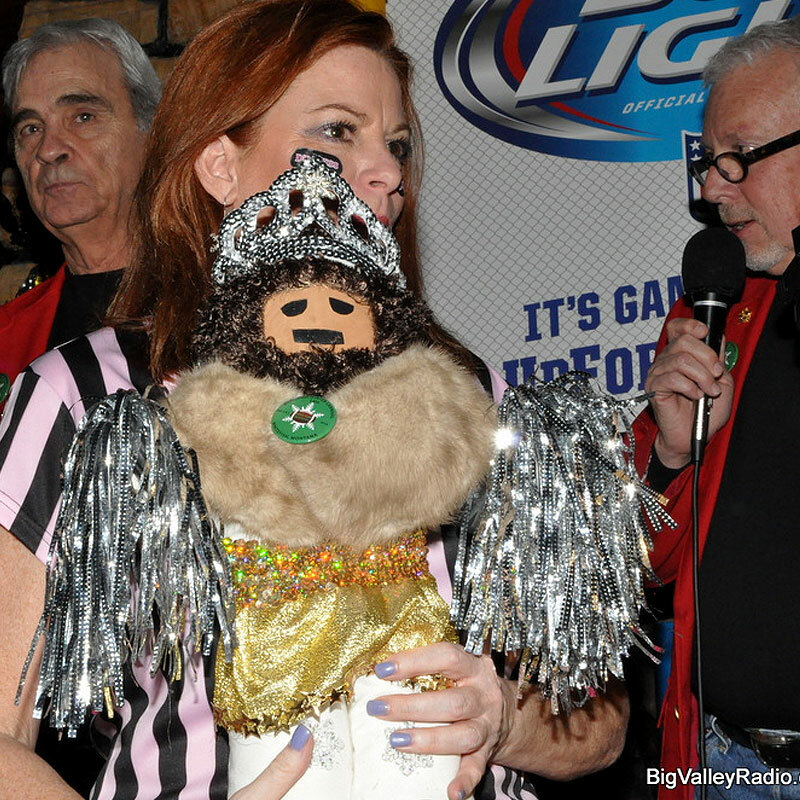 Be sure to get your Viking Diva kiss for protection from the lurking Yetis. A fun event for all! The one. The only. 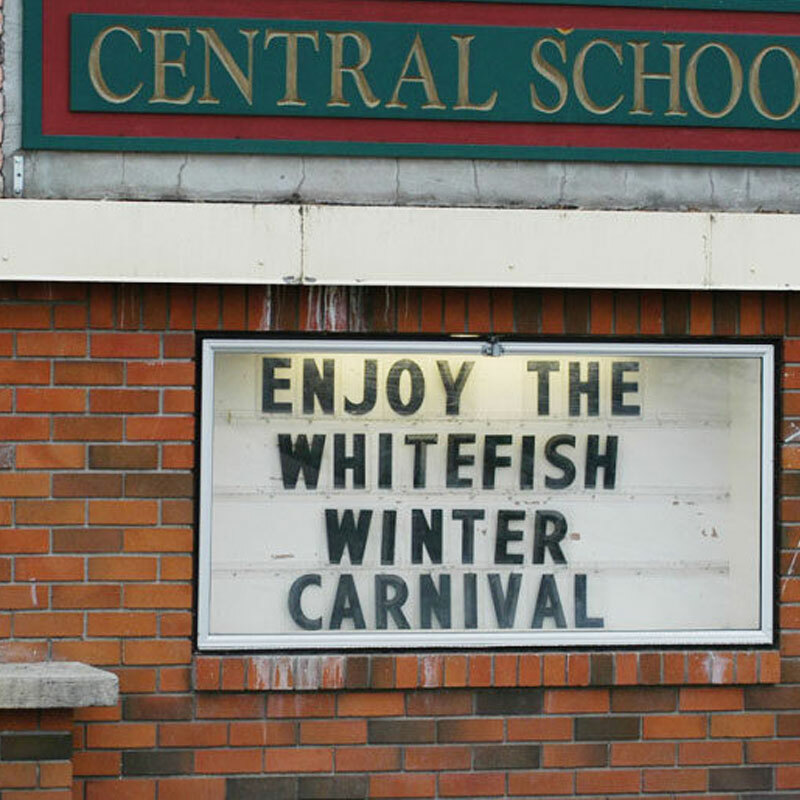 Whitefish Winter Carnival Disco Party. 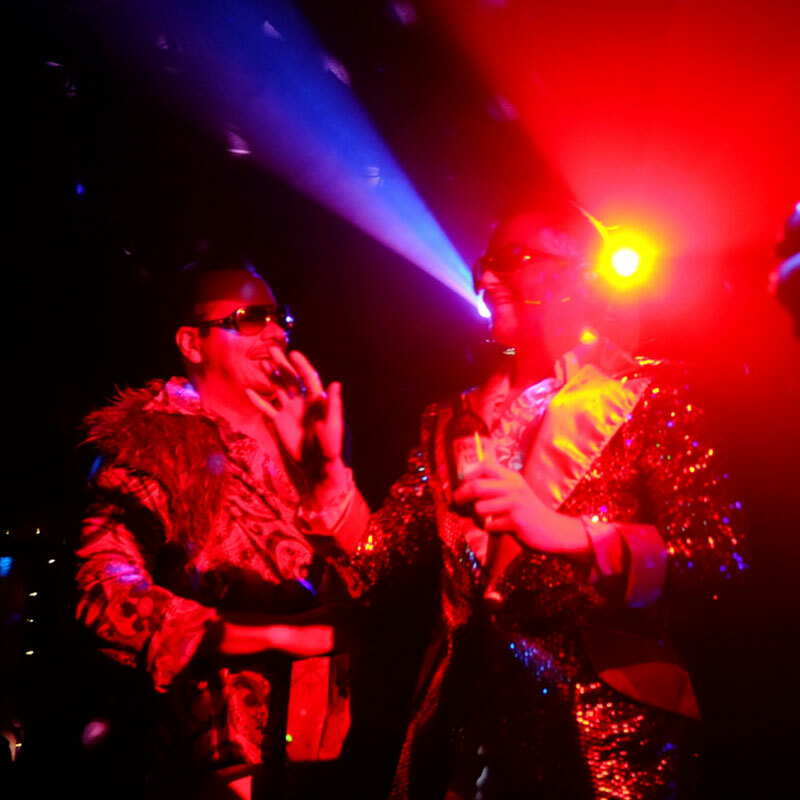 Dust off your moves and your duds for an evening of groove. Prizes for best costume. This is a town built on the personalities, charm and wisdom of its local residents who work hard and play harder. 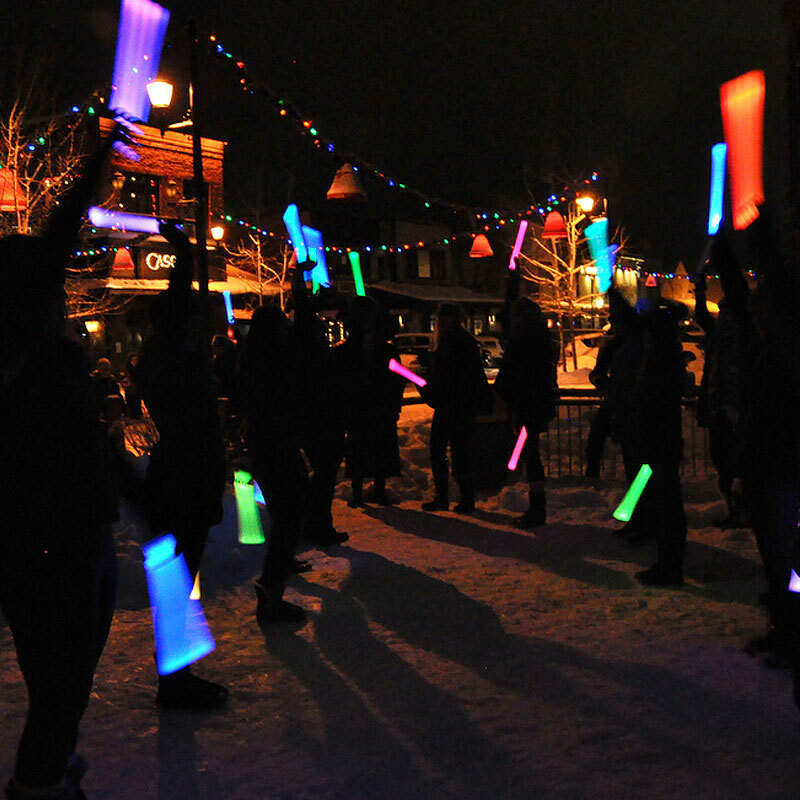 Every winter the hearty residents band together to welcome visitors with celebrations like the Whitefish Winter Carnival, complete with a home-town parade, penguin plunge, yetis, vikings, snow sculptures, and non-stop parties. 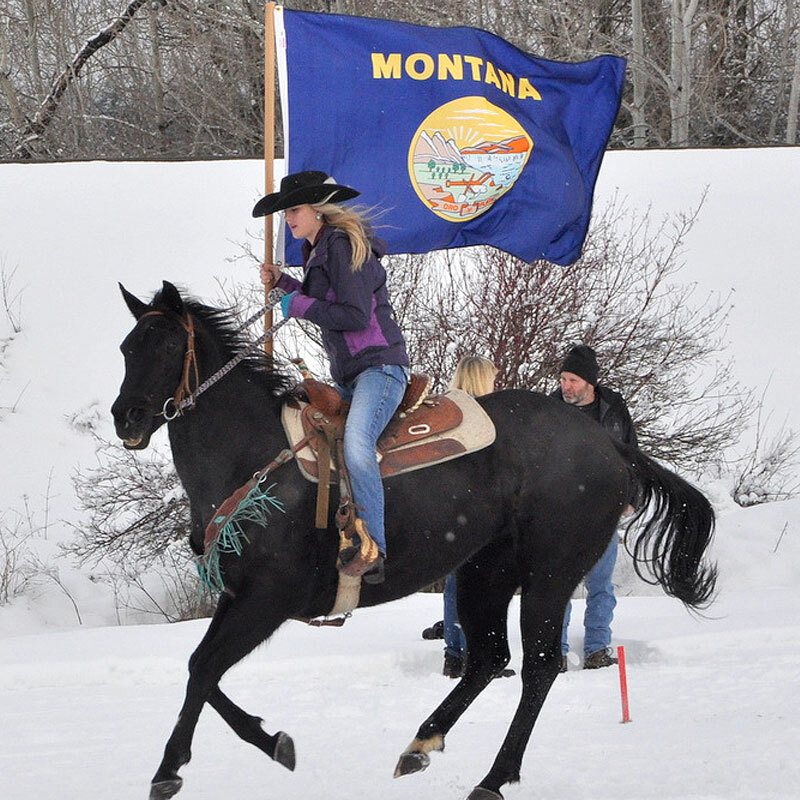 Horses and skiers unite in the Ski Joring races that illustrate the cross-over of the Old West with modern-day adventures. The Stumptown (Whitefish) Historical Society was founded in 1982 by a group of individuals committed to preserving the history of Whitefish, Montana and the Flathead Valley for the present and future. 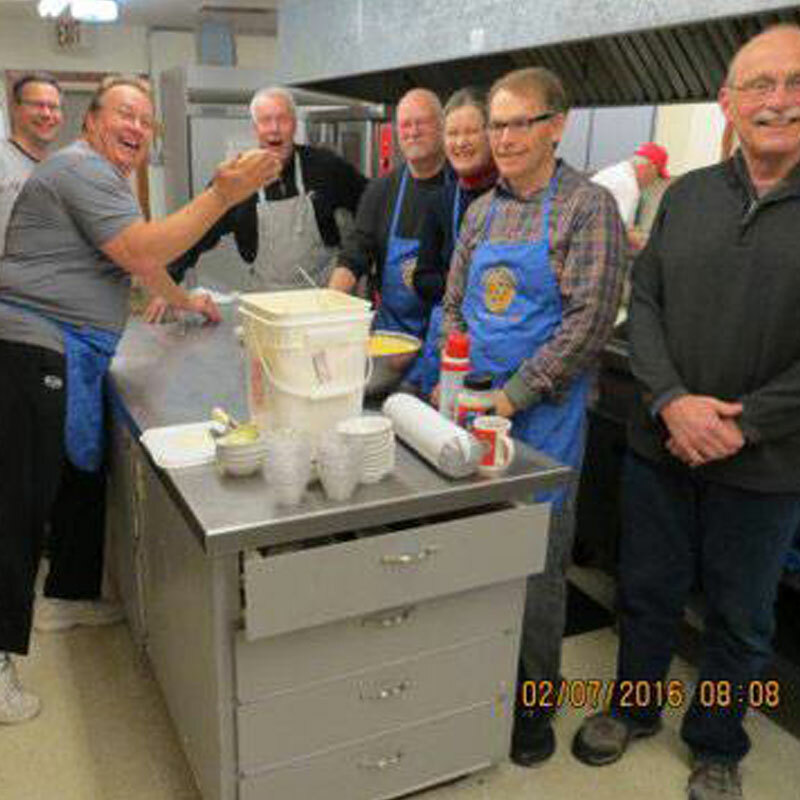 Since its inception the Society has grown with members from all parts of the USA and Canada.